Kansas City / What Is a Good U-Factor for a Window? If you are looking to upgrade the windows at your home with more energy-efficient options, you’ve likely come across the term “U-factor” in your search. What is U-factor exactly? Well, ENERGY STAR says that a U-factor “measures the rate of heat transfer and tells you how well the window insulates.” But, what does this mean and how can you tell what a good U-factor is for your new windows? Let’s explore further. The U-factor scale ranges from 0.25 to 1.25. The lower the U-factor, the better the window insulates. This means that lower U-factor values are associated with more energy-efficient windows. For example, a window with a U-factor of 0.35 would be considered more energy efficient than a window with a U-factor of 1.25. And, the window with the 0.35 U-factor would insulate better than the window with a 1.25 U-factor. Bordner is the company to count on for energy-efficient windows in the Kansas City, Missouri, area. We offer vinyl windows from ProVia and fiberglass windows from Infinity from Marvin, both of which boast low U-factors. Plus, they are equipped with energy-efficient features such as low-emissivity coated glass and warm edge spacers to help make them some of the most energy-efficient windows available. And, our highly skilled team installs them properly, eliminating any potential for air leaks or drafts. We stand by our work and offer a lifetime workmanship warranty to attest to the confidence we have in our crew’s craftsmanship. 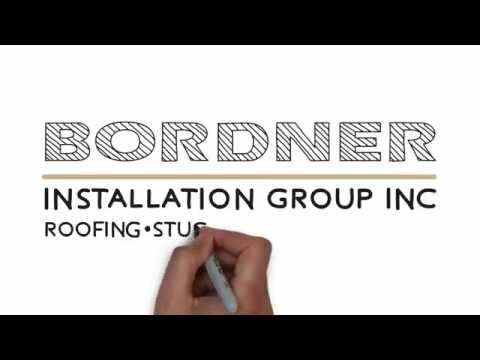 For more information about the energy-efficient windows that we install for homeowners throughout Kansas City, MO, and the surrounding areas, contact Bordner today.